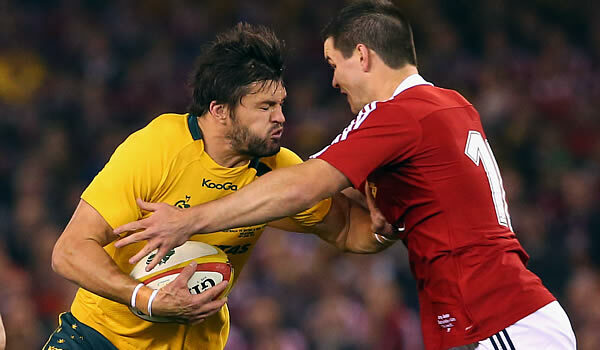 Wallabies centre Adam Ashley-Cooper says that there is a lot more to come from Australia in the deciding Test against the British and Irish Lions on Saturday. Ashley-Cooper said wingers Joe Tomane and Israel Folau could be more dangerous if the Wallabies got more of the ball to them in the Sydney showdown. “They’ve had some physical encounters with all the Australian provincial teams, so no doubt they are feeling it mentally and physically,” Ashley-Cooper said. Ashley-Cooper said skipper Sam Warburton’s injury loss would be a major blow for the Lions but labelled his likely replacement Sean O’Brien a “class act”. “That would be a huge loss but they have a lot of depth there in the back-row,” he said.